After terminating a labor contract, the binding responsibilities between employers and workers also end. Former employees working for other enterprises raise the employer’s concern over information confidentiality. When entering into an employment contract, rights and obligations of employees and employers are governed by such contract and its addendums, company’s regulations, collective bargaining agreements (if any) and the Labor Code. Accordingly, before signing a labor contract, the employer is obliged to provide information about regulations on trade and technological secrets and other issues directly relating to contract signing. In case an employee discloses any of the above mentioned confidential information, the employer can only apply dismissal as the highest form of discipline. However, to bind the employees’ responsibility after they finish working at the company, employers can have them sign the confidentiality agreement (also known as NDA - Non-disclosure agreement). 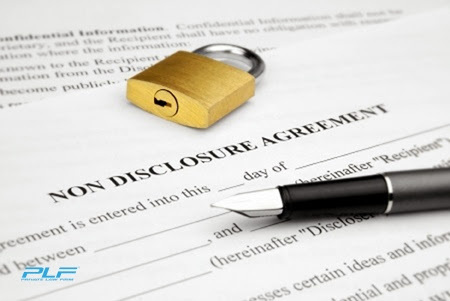 Confidentiality agreement is a lawful agreement based on the provisions of the law and meets the conditions of a valid civil transaction, thus binding the two parties under the Civil Code. Depends on the company and its regulations, the contents of an NDA may vary. In general, however, a basic NDA should address the following issues: the information that is considered confidential, the owner of such information, any exclusions, authority to access the confidential information, employees’ obligations when utilizing the confidential information in the course of work and after severance, the continuing obligations to protect confidential information, informing third parties about the presence of the NDA and penalties, the effect and duration of the agreement, etc. Additionally, employers can prescribe terms of information confidentiality, trade secrets, and technological secrets in the company’s internal regulations, internal management policies, or collective bargaining agreements (if any) in order to provide the basis reference for labor contracts, or include the NDA as an annex attached to the labor contract. This is a lawful act to protect confidential information of the enterprise and not by any way prohibited by the provisions of the Labor Code. When former employees work for a new company, the employer can send notice of the existence of their confidentiality agreement to the third party and at the same time, start tracking their former employees to prevent legal risks arising from the infringement of trade secrets.